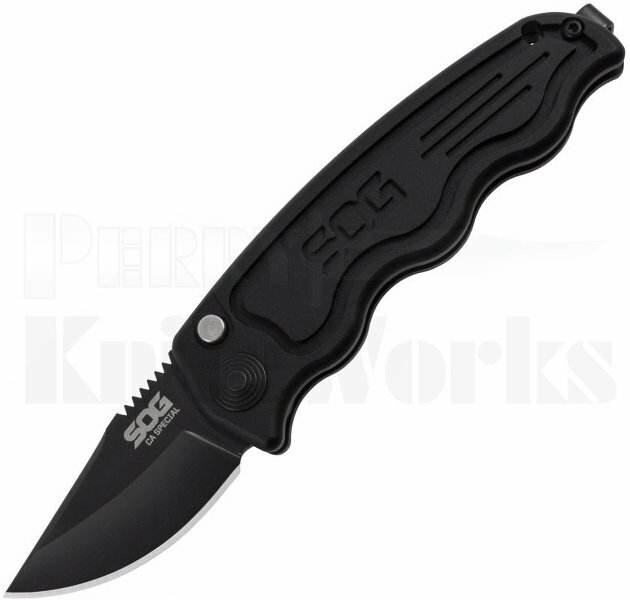 The SOG-TAC ST-14 California Special automatic knife is one of our most discrete folders in the SOG repertoire . Fully acceptable within California laws regarding automatic knives with it's black 1.9" AUS-8 clip-point blade. It's more than just a small knife, it has a full size 3.9-inch hard-anodized aluminum handle so you can actually use it. The California Special is a blade that is ready when you are. Great YouTube video by SOG!